Thai Panda: Is Boo the 'world's cutest dog' with 4.9M fans an inside job by Facebook? 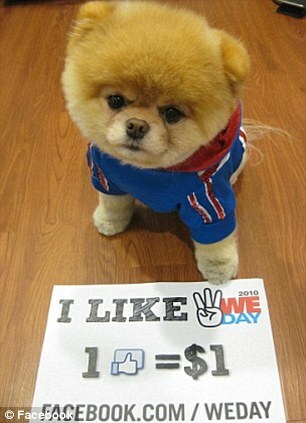 Is Boo the 'world's cutest dog' with 4.9M fans an inside job by Facebook? When Boo got nearly five million likes on Facebook, most people thought that it was because he was the cutest dog in the world. But now it turns out that there might be another explanation for his popularity - Boo’s owner works for the social networking website. 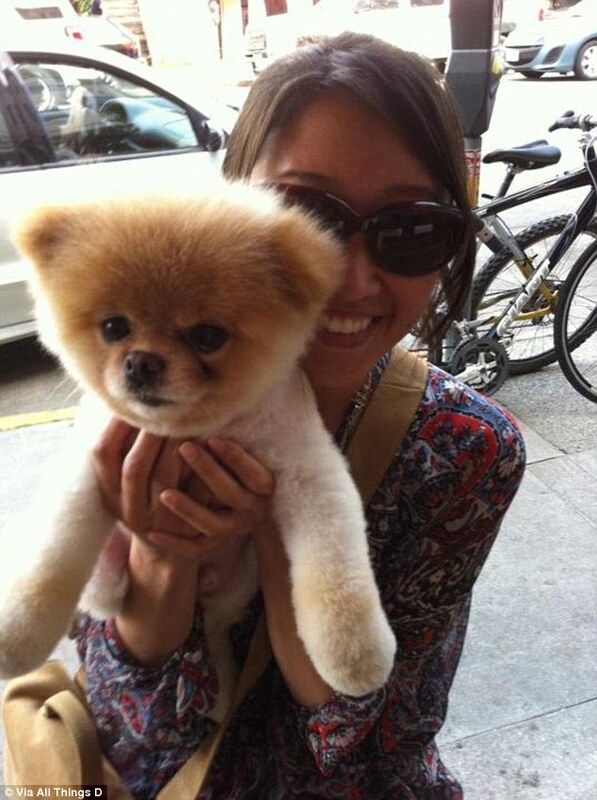 Irene Ahn has been identified for the first time as the woman who owns the adorable Pomeranian. She is a senior executive in Facebook’s finance department where he is a huge hit with others who work there, allthingsd.com reported. Ahn has until now taken great steps to ensure she was not identified and adopted the pseudonym J.H. Lee as she supposedly wanted to keep attention focused on her dog. She maintained the fake name even when Boo’s first book came out last year and kept it up in the few interviews she has done. 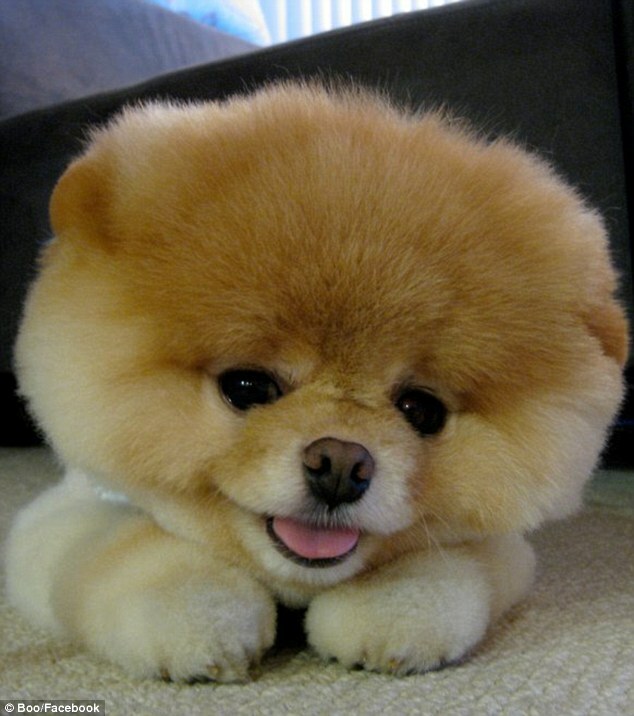 Boo became famous after dozens of celebrities fell in love with him back in October 2010 including singer Ke$ha who Tweeted a link to his Facebook page. Khloe Kardashian also posted a picture of him on her blog. 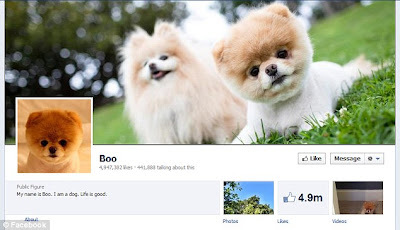 As the Facebook likes soared towards five million, Boo gradually became a celebrity on the Internet then in the real world. He now has his first book out - ‘Boo: The Adventures of the Cutest Dog in the World’ which has been translated into 10 languages. 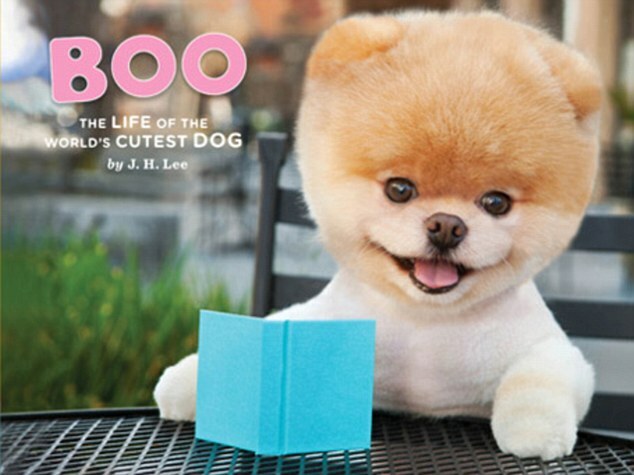 A second book called ‘Boo: Little Dog In The Big City’ is in the pipeline and there are also plans for a Boo-themed calendar. On top of that Boo has a line of stuffed animals coming out and an A-B-C book for children. Boo’s books have been published by Chronicle Books and spokesman April Whitney revealed some details about Ahn, although she did not confirm that she was indeed the owner. 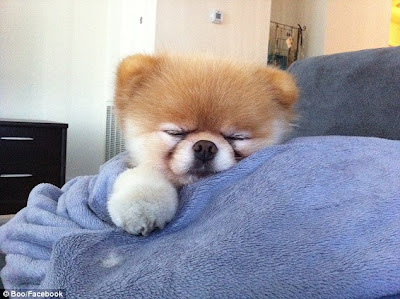 Whitney said that Boo’s owner lives in San Francisco and claimed that she did not even seek out fame or fortune. Whitney said: ‘She didn't contact us; we contacted her when Boo only had 60,000 Facebook fans. Whitney added that everything else you see on the Internet apart from the Facebook page is a fake or a tribute created by other people. Ahn had previously worked at PayPaul and Yahoo and joined the Facebook in 2008 where she has been ever since. In an interview with Time magazine Ahn has revealed that she first put pictures of her dog on Facebook in 2009 just for laughs. She said: ‘My friends loved looking at pictures of him. We started the first Facebook page as a joke. ‘We always joked he’d get discovered by Oprah’. 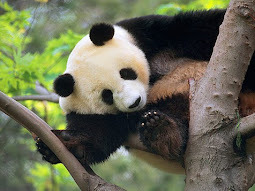 In April Internet pranksters claimed that Boo had died, but Ahn denied the reports through her spokesman. MailOnline has reached out to Ahn and Facebook for comment, although Ahn did not respond to requests for comment from allthingsd.com.